Let me tell you a story about a race I did once. Not long ago, actually. All the elements were there. Nervous anticipation. Last-minute equipment checks. Small talk at the start line. Then the start. And a huge rush for the first 10 to 15 minutes. We’re talking “holeshot at a ’cross race” kind of rush. We’re talking “sprinting out of the turns” at a Cat. 4 crit. But this race was neither of those things. This race started at 6:30 p.m. on a wet northwestern night in January. At least for me it did, because the 40 or 50 other competitors were just avatars on a screen and could have been located anywhere in the world. Yes, this was a race on Zwift. 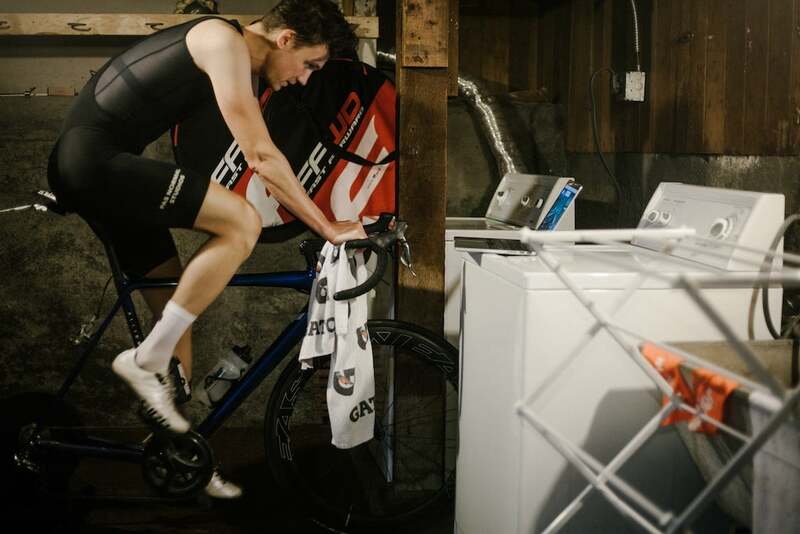 Now, racing on Zwift is nothing new. Pretty much as soon as people started using this social-network-meets-spin-class, things started getting competitive. 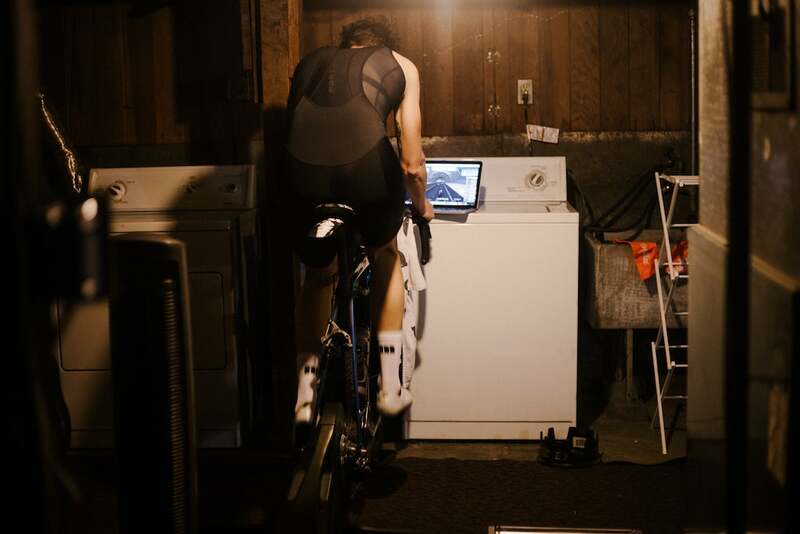 I originally discovered Zwift a few winters ago after getting bored of staring at a wall during the two-and-a-half-hour sessions on the trainer that promised better form come springtime. Once on Zwift, I realized I was not alone in my boredom. Far from it. 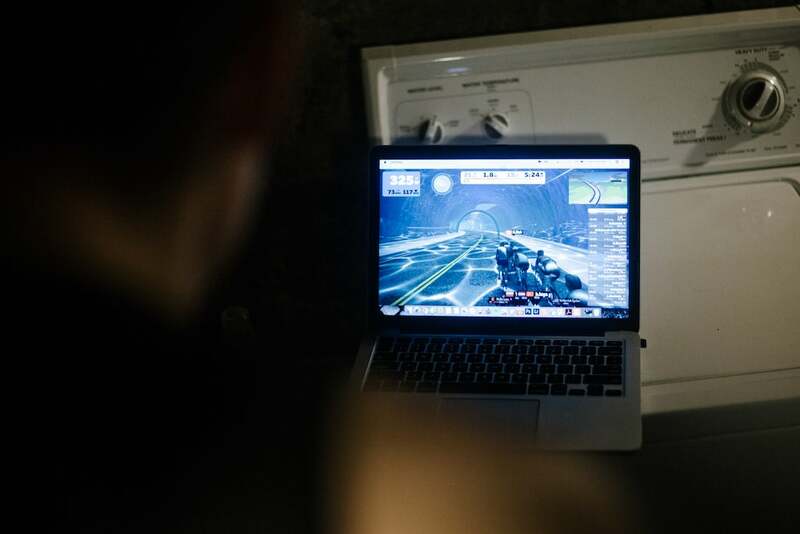 During some evening sessions there appeared to be thousands of other members from every part of the world—including many, many riders from Canada—just pedaling around this virtual world based on an imaginary remote island (that is actually based on a real remote island). 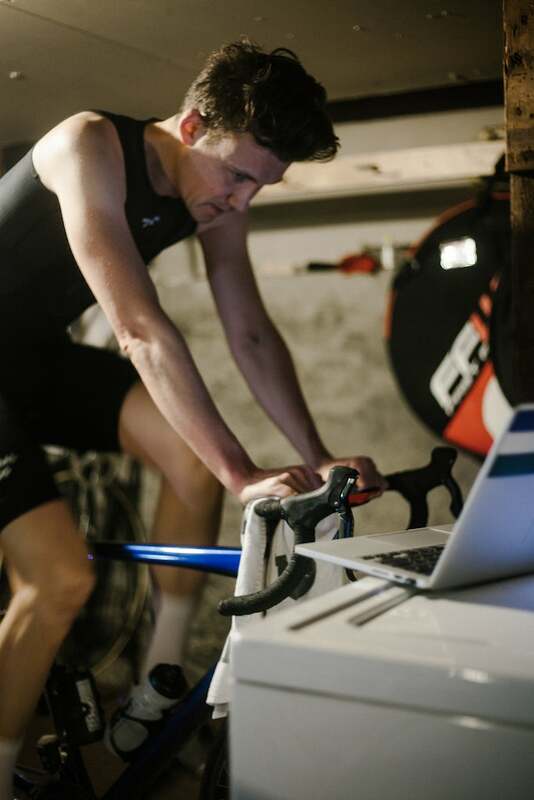 What I discovered is that for every Zwift loner just pedaling along, or doing one of the many built-in training programs, there were also virtual group rides and even races taking place at all times of the day. Which brings me back to the beginning…. The lights turned green and off we went: My CycleOps H2 Direct Drive trainer registered 200 watts…300 watts…400 watts. The “hills” felt like actual hills and made it that much tougher to stay attached to the rest of the group. I should have turned on the fan. After what seemed like an eternity of hard pedaling to stay attached to the “group” of other riders—but was probably closer to 10 minutes—things settled down. And then it was time to go hard again. Which is right about the point I found myself being dropped. In a race. On Zwift.